Isaac Fukuo Akinaka was known both for his fearless actions on the field of battle which saved many lives and for his steadfast devotion to the beliefs of the Church of Jesus Christ of Latter Day Saints (LDS). The focus of his life after the war was raising his family and living up to the values of his faith. In accordance with LDS practices, Isaac began to keep a journal from the moment he entered Army service. Born in Honolulu on May 15, 1911, he was the son of Kenjiro Akinaka who had emigrated from Japan in the late 1890’s to work in the pineapple fields of Maui. After his contract expired, Kenjiro became a successful cement contractor and stone mason in Honolulu. His success enabled him to send for a picture bride, Fusa Akagi, from his native Hiroshima, Japan. They lived together in a small house on Hebron St (now Olu) Street in the Kaimuki district of Honolulu, which he was eventually able to buy. Kenjiro was 40 when his eldest son Fukuo (meaning “lucky boy” in Japanese) was born. Fukuo would be the second of six children. To better assimilate into the local culture, he changed his name to “Isaac”. Business prospered until the Great Depression (1929-1935). Isaac graduated from McKinley High School in 1930. In 1933 the family was struck by a series of tragedies: Kenjiro died unexpectedly of a heart attack, Fusa committed suicide from despair, and two younger siblings suffered nervous breakdowns, leaving both emotionally unable to cope and disabled. The responsibility for keeping their four siblings together in the house during this difficult time fell on the oldest sister before Beatrice and Isaac, who was 22 at the time. For two years Isaac struggled to find any kind of job. He was a caddy at the Waialae Country club, delivered newspapers, tarred roofs, and travelled to Molokai to work as a farm laborer in an effort to earn money. In 1935 he finally found regular work as a boilerman’s assistant at a Honolulu hotel. When his younger sister Jessie became interested in the LDS religion, Issac made the acquaintance of two LDS missionaries. One day after studying the Book of Mormon, which – along with the Old and New Testament – is the holy book of the LDS faith, he felt a great trembling through his body. To him this was a sign that he had been called to God. From that day forward, he became a devout Mormon. His National Guard obligation officially ended December 8, 1941. He signed his discharge papers on Saturday, December 6th. But on Sunday December 7, Pearl Harbor was attacked and he voluntarily reenlisted. 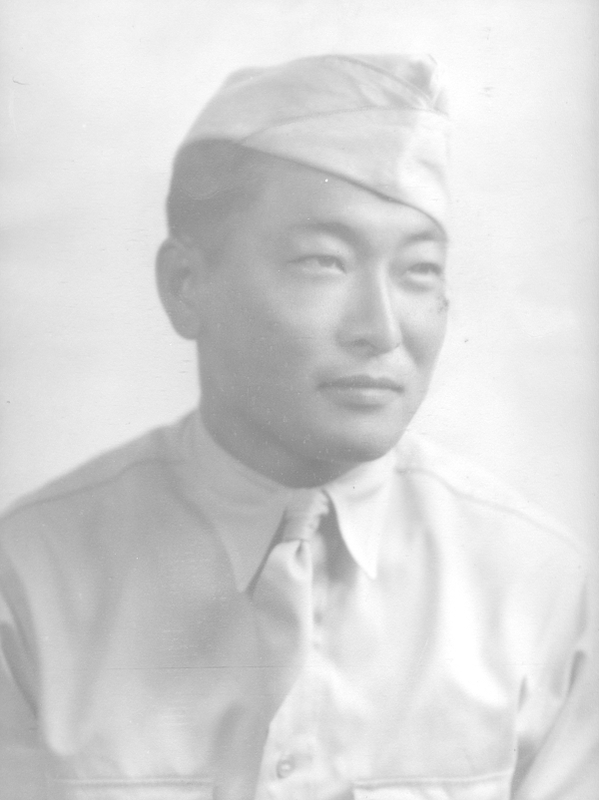 Isaac became a member of the Hawaiian Provisional Infantry Battalion which left for the mainland at the beginning of June 1942 and was renamed the 100th Infantry Battalion. Thirty-one years old, he was one of the oldest members of the unit. 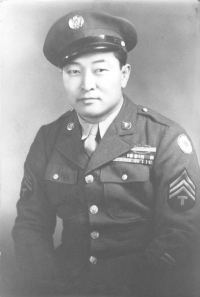 At Camp McCoy in Lacrosse, Wisconsin, one of his first actions was to ask Dr. Isaac Kawasaki, the Chief Medical Officer of the battalion, to perform a circumcision on him so that he could, as in the old testament, “be in a covenant with God.” In nearby Sparta, he sought out the local Mormon community and was pleased that they welcomed him.